Cold storage panels manufacturer is a crucial component of the cold room because the wall panels play a key role in maintaining the necessary temperature inside the chambers. If not well constructed, there is a chance of compromise of temperature inside the cold room which can potentially ruin the products that are stored inside of it. To make sure that insulation is not damaged in any shape or form, we use high density panels. If you cannot give us your accurate specification, you can get in touch with one of our advisors at +44 755 533 6292 and we can advise you on what kind of panels would suit best to your cold room. But even if you do not yet have a cold room, you can go to our cold room designs main page and make your prototype. 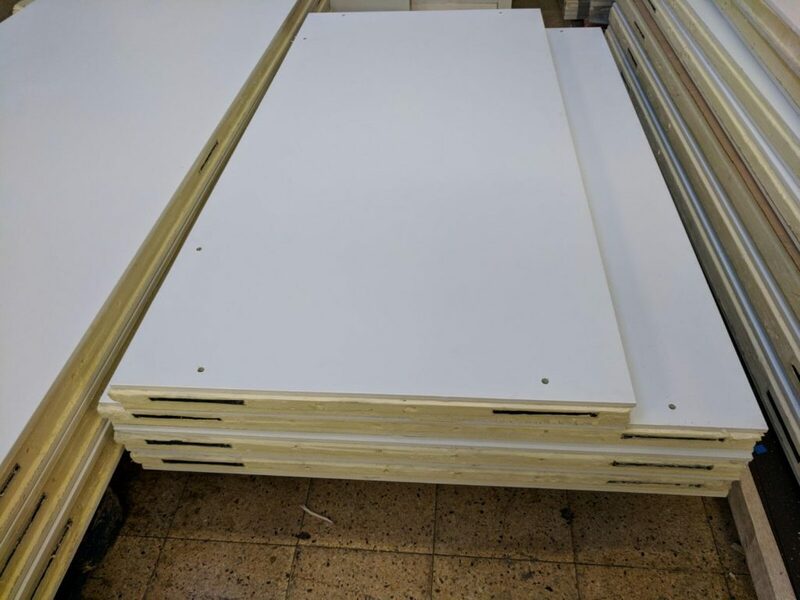 If you own a walk in freezer, we can also supply you with walk in freezer wall panels. It is very important to be precise in identifying the requirements correctly because a wrong type of panel can, over time, be damaging for your business. An incorrect wall unit can make you spend more energy to achieve the same temperatures, and in some cases can fail to sustain the cold environment. In case if you have a cold room but you need it to be installed, please visit our cold room installation page. There we provide all the essential information about such service.